1969–1970. 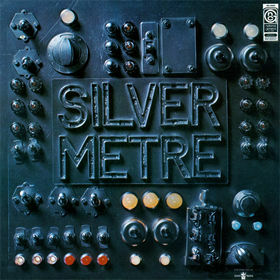 Sil­ver Metre. Formed in Venice Beach and San­ta Mon­i­ca, Cal­i­for­nia after my first trip to the Unit­ed States at age 21. We record­ed our first of a two album deal with Nation­al Gen­er­al Records at Tri­dent Stu­dios, War­dour St, Lon­don. Our man­agers were Char­lie Osborne, and lat­er Tom Don­ahue who got us the deal. The mon­ey for our sec­ond album mys­te­ri­ous­ly disappeared…but I won’t go into that, oth­er than to say it wasn’t the record com­pa­nies fault. Leigh lat­er found out what hap­pened to it but it would be too upset­ting to too many peo­ple to spill the beans now. Not worth it.